Home inspiration Motivation Self Improvement Motivational Posters For Your Home Office? Motivational Posters For Your Home Office? Is there really a place for motivational posters in your home office? 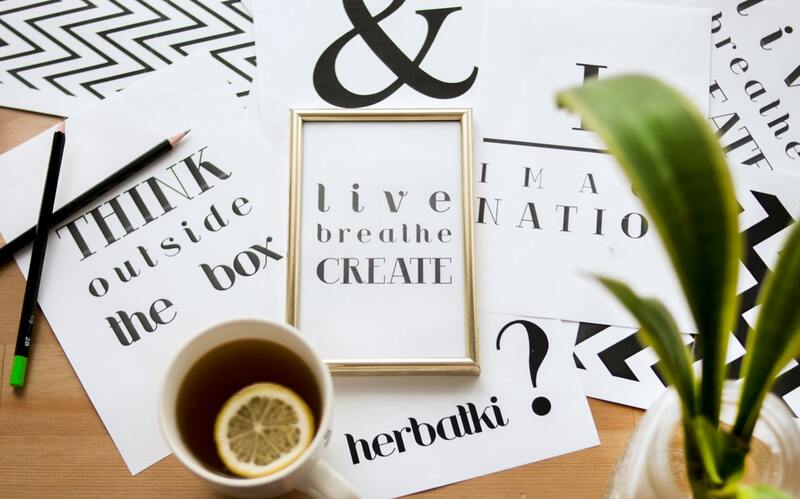 The thought of putting these posters in your home workspace may sound cheesy to say the least. Even worse it could even remind you of those dreaded, awful days when you were tied to a desk and forced to enjoy the company "decoration" of mission statements, useless slogans and their idea of motivational posters (more like propaganda eh?). All these things were meant to make you more productive each day, to enhance your company "loyalty" and to increase staff morale. What effect did they really have? Yes they drove you a little bit more mad each day and actually made you resent where you worked - the exact opposite effect they were meant to have! It makes you wonder if management teams really think this stuff through right? This is why you never really wanted to see a motivational poster again - ever. There's a difference though when you're doing it for your home office. YOU get to pick the poster. YOU choose a poster that means something to YOU. Gone are the days of you having to tolerate some pointless, hopeless and heartless company slogan that makes you physically ill when you think about it. This time the poster choice is up to you. You can pick a poster that truly speaks to you and has real meaning. This is the essence of any motivational material - it has to actually mean something to you or otherwise it's just a waste of time. Human resource and communications managers in most companies could learn a lot by just understanding that simple fact. It doesn't even need to be a "motivational" type poster. It could be a poster of a favourite movie that reminds you of something you want to achieve in life - financially or otherwise. Motivation in your home office doesn't need to be as black and white as it was in the corporate world. What motivates you at home is going to be totally different to what motivated (if motivation is the word) in work. At work you are most frequently motivated by fear - fear of layoffs, fear of not getting the promotion, fear of some petty office politics affecting your career. Too much fear! Your home office can and should be devoid of this fear. Your personal motivation at home could be self-fulfillment, a better standard of living or more money for your entire family. These are all positive and are all driven by your desire to succeed. Any poster you decide to put up in your office can and should reflect this. If posters don't suit you then how about a motivational startup page for your web browser or desktop? These are a great way to constantly remind yourself of goals that you've set for yourself and really help to keep you motivated and focused. So why not add a poster to your office today? Just make it something that speaks to you at the deepest level. It should make you smile as much as it keeps you motivated and focused on your work and goals.